Preschool education has become an important foundation in today’s educational climate. It is unique in nature and is often more comprehensive than what has happened in the past. The aim of preschool education programs is to assist the young learner to develop skills that will set the stage for future learning. What preschool materials do we offer? Bible- Bible pictures to color, Bible stories, character builders, basic Bible doctrine and more. What publishers do we represent? When you need to choose a curriculum for your preschool class or to homeschool your young children, we can help you select the right books. Enhance your preschool curriculum by using supplemental resources that match the developmental needs and goals of the chosen program. We believe each child is unique and created by God. Since children are not all the same, some may require extra help to begin the learning process and others will be ready to learn at a very early age. The supplemental resources can help you meet the needs of each of your children. 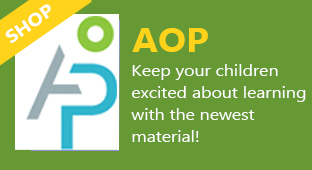 Why not browse through our educational DVD collection and audio resources as well as our books when you look for materials to purchase online for your preschool student? To keep every child’s unique abilities and characteristics in mind. To provide young learners with reasoning and critical thinking skills to become active problem solvers. To offer an environment which is language rich in which the personal interests of the child lead to experimentation, exploration, and the construction of new understanding and knowledge. To deliver active learning in which the young learner, by manipulating materials, objects, and equipment and interacting with people, develops a new understanding of the world around them. Want to offer your young child an exciting learning experience? 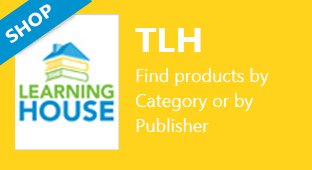 The Learning House has products to help you do just that. Our materials have been chosen because they are engaging and can be adapted to a variety of learners and learning situations. They can work alongside a child’s natural development to prepare them for learning more advanced concepts in the future. For more information about the preschool curriculums and books we offer browse through our website or give us a call today! We would be happy to assist you with any questions you might have.